With experience across a wide variety of developments, we appreciate that each project is unique - in scale, intent, character and constraints. 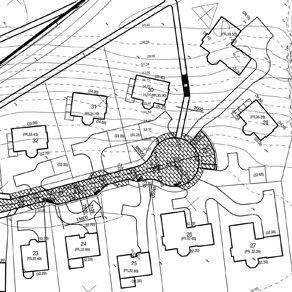 To cater for this, we provide a range of planning and design services at each stage in the development process. Often our involvement is tailored to suit the specific nature and requirements of a project and may extend from visioning and feasibility through to detail design and development control. Our clients range from public sector authorities and housing associations to private land and property owners, developers, stakeholder groups and lead/ local consultants as an independent team, we are able to operate directly on behalf of a client or as part of a wider multi-disciplinary team. Representing the overarching framework for development, our master planning experience encompasses a variety of projects of varying scale, character and purpose across the UK and overseas. These range from pocket infill sites of up to 10 ha to strategic sites of 2,000+ ha for a complex mix of activities. 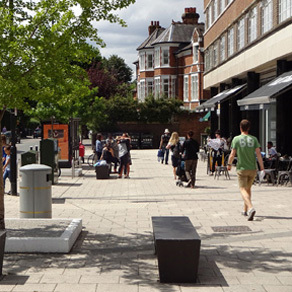 Successful urban design harmonises buildings and places with the wider physical and strategic context. Through approaching a project from the perspective of urban planner, architect and designer, we are well equipped to deliver feasible, sustainable and well integrated solutions – the essence of place-making. Our experience spans from private residential to commercial and hospitality in the UK and overseas. For each project, we work with our clients to create bespoke design solutions that are tailored to the particular characteristics of the site, the ambition for the new development and the relevant parameters for construction. From bespoke building and urban design to strategic planning and regeneration, we have successfully delivered a range of different projects across the UK and internationally. Often involving complex design challenges, a number of these are currently being experienced and enjoyed as integrated buildings, places and spaces. As an RIBA Chartered Practice, we follow the RIBA Plan of Works (2013) - an industry standard that sets out the various stages of a building design project from inception through to completion. As every project is different, our involvement may vary from conceptual design and the submission of applications for regulatory consents (Stages 0 – 4) to tendering and supervision (Stages 5 – 7). 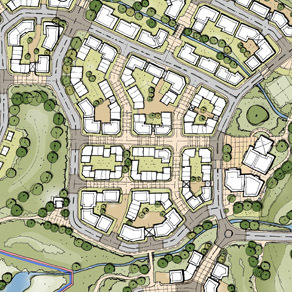 Whether the intent is for a single use development, a complex mix of activities or the sensitive regeneration and renewal of existing conditions, the Master Plan provides an overarching strategy for new development - it knits together the inputs of other specialists and guides the implementation of a project in a holistic and unifying manner. For an informal discussion to see how we may support an existing or potential project, please contact us. Every project is designed with sustainability in mind - it is a part of our design process and fundamental to creating smart design solutions that are well integrated and economically viable. From large-scale master planning to urban and building design, we seek to identify ways that will improve design and reduce life cycle costs through consideration of the many interrelated aspects of a successful and sustainable project. Through approaching a project from the perspectives of planner, architect and designer, we can identify greater opportunities for sustainable synergies and ensure these are maintained as the project develops through planning and design to implementation. 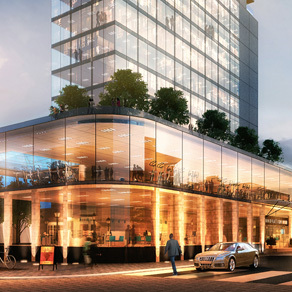 We work closely with multi-disciplinary design teams, asset and facility managers, stakeholder groups and specialist designers of sustainable systems and emerging technologies to ensure the final design represents a fully integrated vision for new development. Our team comprises of LEED-accredited professionals with experience across multiple assessment systems including LEED, BREEAM and Estidama.